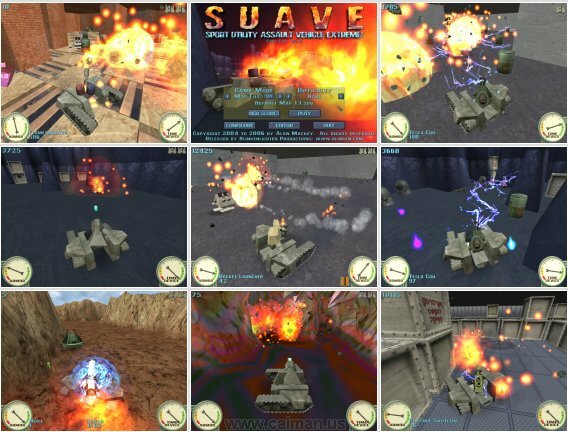 Caiman free games: S.U.A.V.E. by Blinkenlichten Productions. Don't let the tongue-in-cheek humor of the title fool you, SUAVE has seriously fast and intense gameplay. 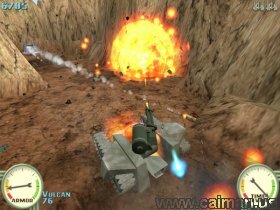 In this game, you pilot a lone tank assaulting an enemy base, armed with a modular weapon system and a device that can affect the flow of time. The full version of SUAVE is now freeware! (was shareware before). 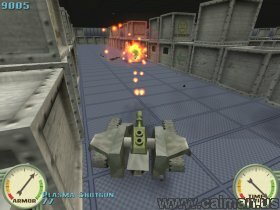 It includes several extensive maps to explore, an Endurance mode that generates progressively difficult rooms, and an editor that lets you make your own maps. Operating System: Any 32-bit Windows OS (95, 98, ME, 2000, XP, Vista, etc) with DirectX 7 or higher.